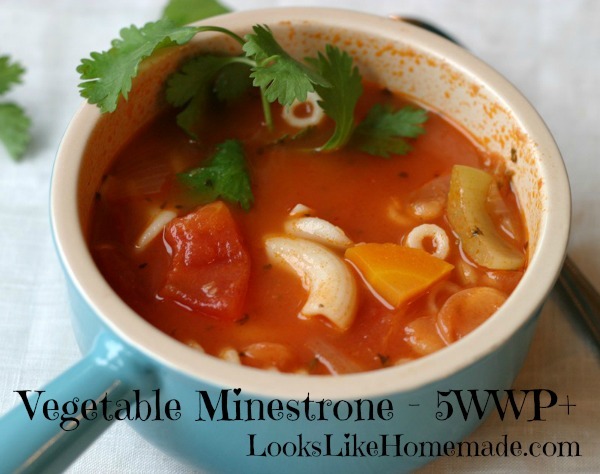 My cooking crush, Ina Garten, made minestrone on her show the other day and it really looked great – so I decided to give it a try – only using things I can get year round, because in the winter, our vegetables in Western CO are questionable, at best. This turned out great and Maddie and Todd gave it 2 thumbs up – Aerik, who is a vegetable hater, was not amused, but he ate most of it anyway. We grated a little parmesan cheese on top and served with whole grain french bread. 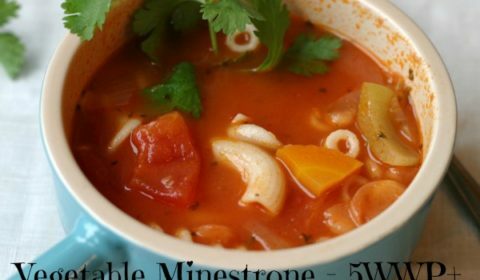 You could make this vegetarian by eliminating the chicken stock and using veggie stock! In a large dutch oven heat 2 tbsp olive oil and add in onion, celery and garlic. Saute until fragrant but not brown - garlic will burn! Add in carrots, celery, potatoes, thyme, salt, pepper, and bay leaf. Saute for another 10-15 minutes until carrots and potato start to soften, add in beans, tomatoes, and broth and remaining spices and stir well. Bring to a boil and lower to a simmer. Let simmer for about 30 minutes stirring occasionally. 10 minutes before you're ready to serve, toss in the pasta and increase the heat a bit. Serve when pasta is Al Dente! What’s your Favorite Pot & Pan Set?